Getting the trashed wheel stud replaced tomorrow along with moving the RWOL outside on the one tire. Basically a mount/balance on that. It'll show Michelin outside like the 3 other tires. w00t! Then a Road Trip up to XNA airport....about 440 miles round trip on Thursday. Beer money in mileage! New Wheel stud and Lug nut installed on passenger rear. I'm "Safe" again! Also had the tire turned around on the wheel for that same corner to have the raised white letters facing out like the other 3 tires. Grand total of $40 including parts and labor! w00t! 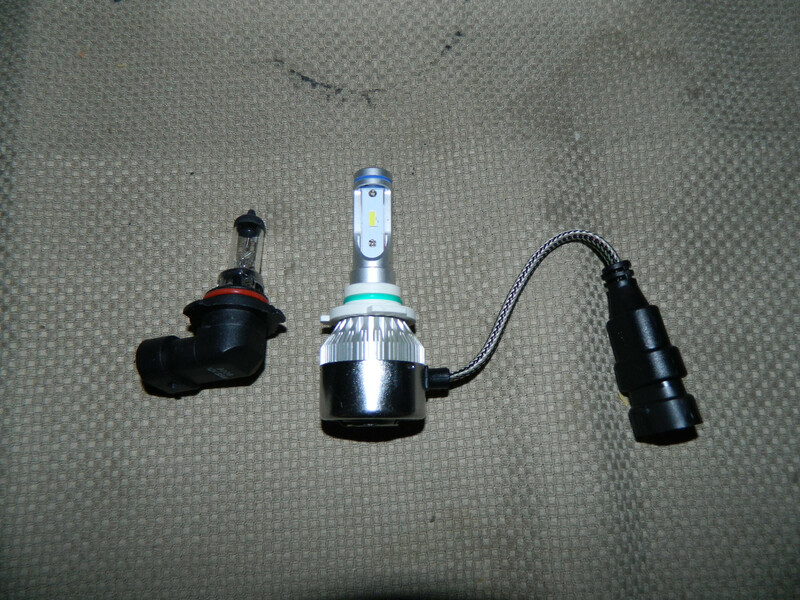 Doing a "Static Heat" test on the LED Fog Light bulbs. Figure I'll let them run in the housing for an hour on the counter and see how hot they get. Original Halogen bulb on the left. New LED bulb on the right for size comparison. 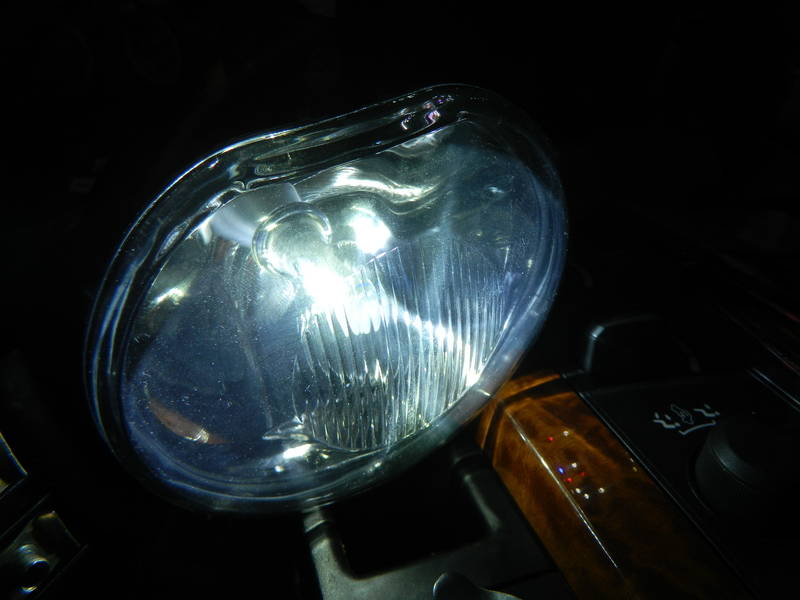 See if the tiny high rpm fan at the base of the LED works or not! Last edited by Ronbo; 03-27-2019 at 07:18 PM. Install the new Fog Light housings and LED bulbs this weekend along with the new Air Dam. Things are progressing nicely on Mods/Maintenance/Etc. Michelin tires seem a little quieter than the old tires. Need to get the two fronts balanced, got a little steering wheel vibration/shake at 70-75 mph. 445 miles on a single tank of fuel with some to spare. LIT-XNA-LIT. OTIS showed 25.5 avg mpg. Probably closer to 24 mpg actual. I'll do the math at the next fill up. An interesting but not surprising development since I swapped wheels.tires. No longer have the "Shudder" on braking. I attribute that to properly torquing the lug nuts after the wheel swap at 135 lb-foot to factory specs. Seems like removing the door panels on the Durango is easier than an LH car. Only 3 screws to remove and lift it off the hooks. 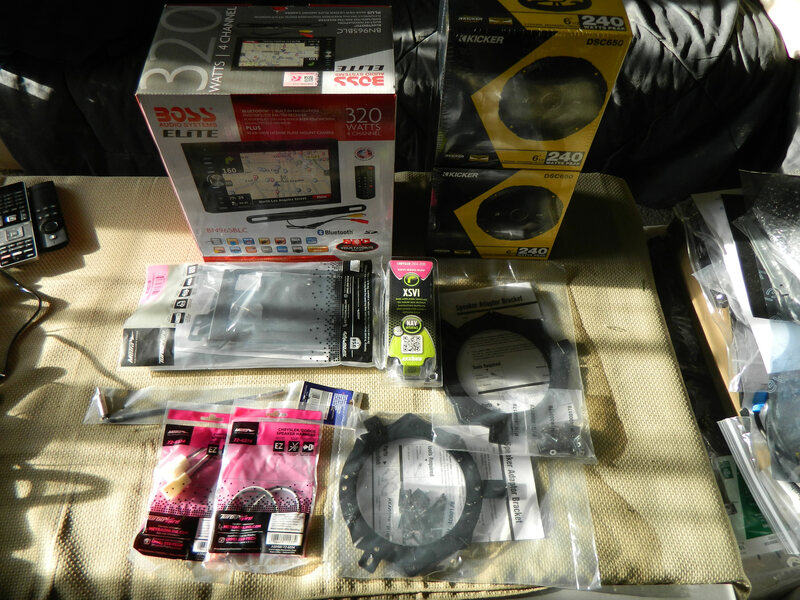 I'll install the new Kicker door speakers this weekend that I've had for about a year! The passenger side door mirror is loose so I'll be able to resolve that also. As usual....work interferes with progress! Hoping to get at least the front door Kicker speakers installed tomorrow. Rear doors use the same size speakers. I'll go from there. Figure the fronts will provide the most notable improvement. Kick It!! Couldn't Git-r-Done! I've got a Scanner at the airport I've been working on that's been down for the last 3 days and counting! POS! 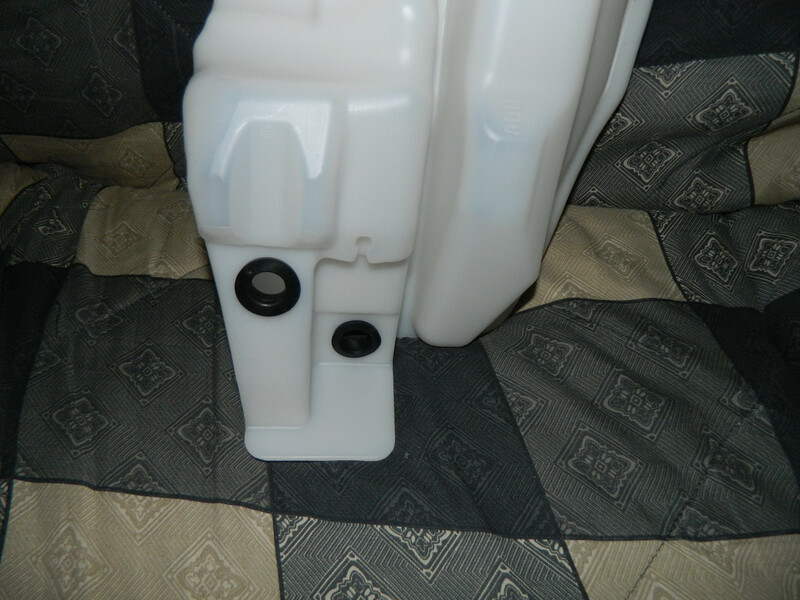 Finally got the rest of the parts for the Windshield Washer/Coolant Recovery Combo tank ready to go in. 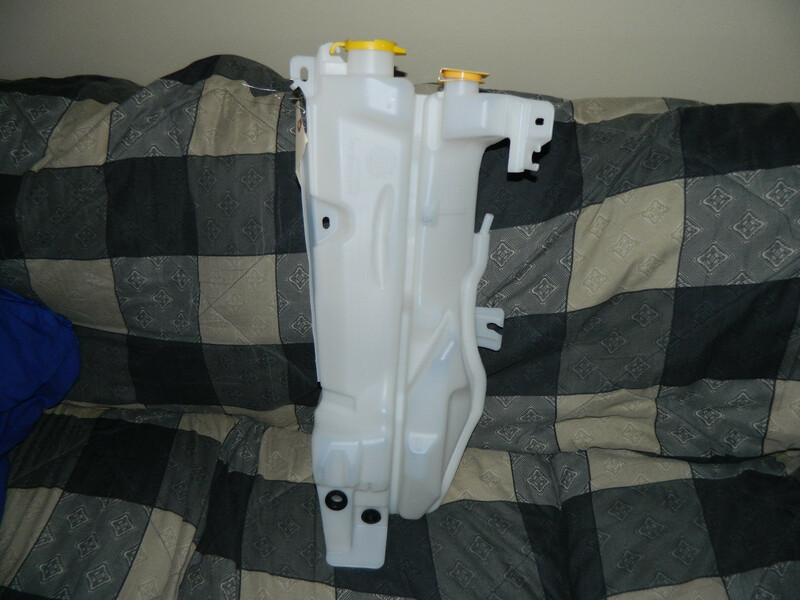 All genuine Mopar parts. Tank/Caps/Grommets. Of course when you buy the tank that's all you get. Just the tank! Caps and grommets sold separately! This thing is huge! Over 27" tall. 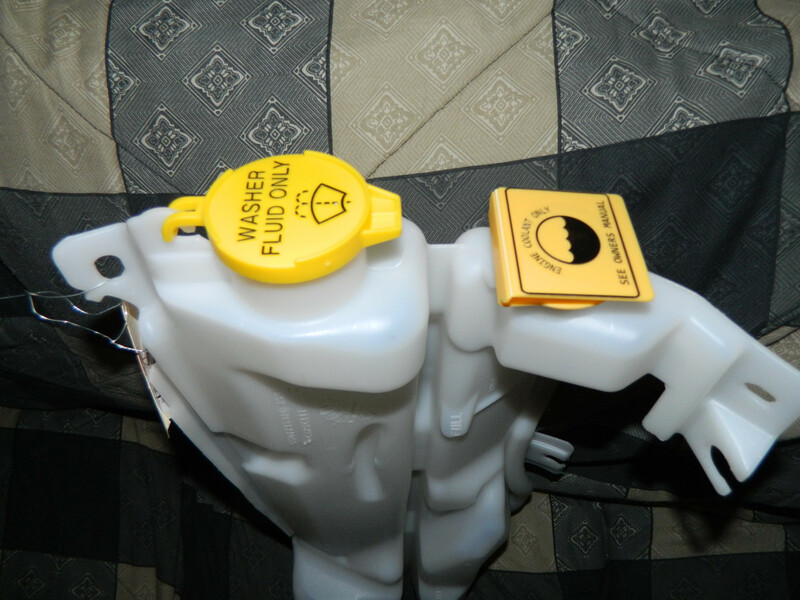 Probably cheaper than replacing both the windshield washer and coolant tanks in an LH car or close to the same. Thinking about buying one of these cargo carriers for crap that won't fit in the back of the Durango or I don't want to lift it that high! 500 lbs. capacity. Harbor Freight $79.99 for the aluminum version and $59.99 for the Steel version. Already have a Class 4 receiver. 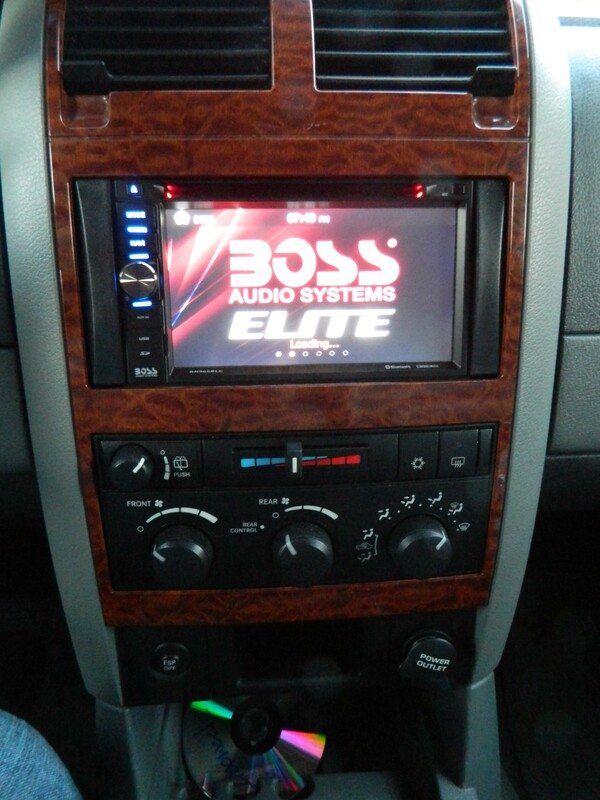 The Boss Audio NAV install is 90% complete! All that's left is the installation of the Backup Camera. Everything works as it should thanks to the PAC OEM wiring harness adapter. Switches to Backup Camera input when in Reverse. No image because the camera isn't installed yet. All the pieces lined up to the new Radio Surround Bezel. 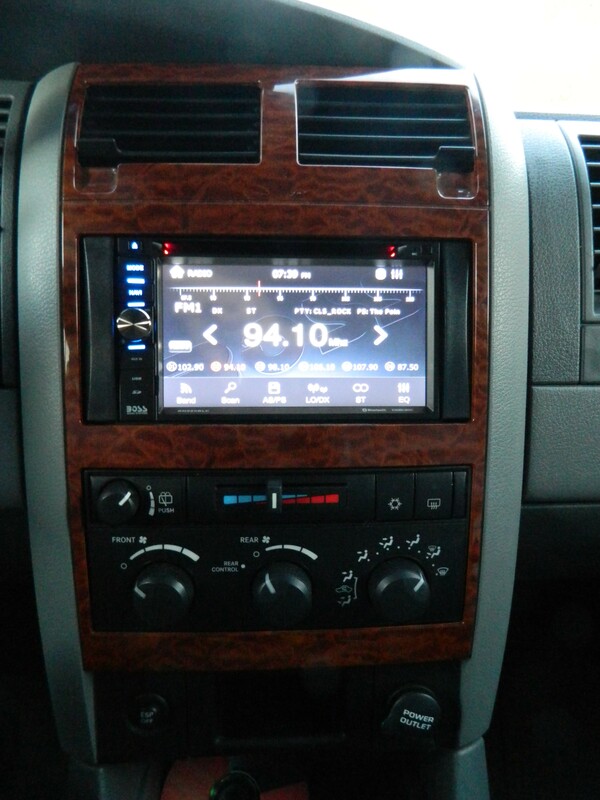 Not sure why the radio display looks crappy in the pictures. Doesn't look like that live. Most likely the camera and low light conditions. I'll get some better pics in the daylight tomorrow.